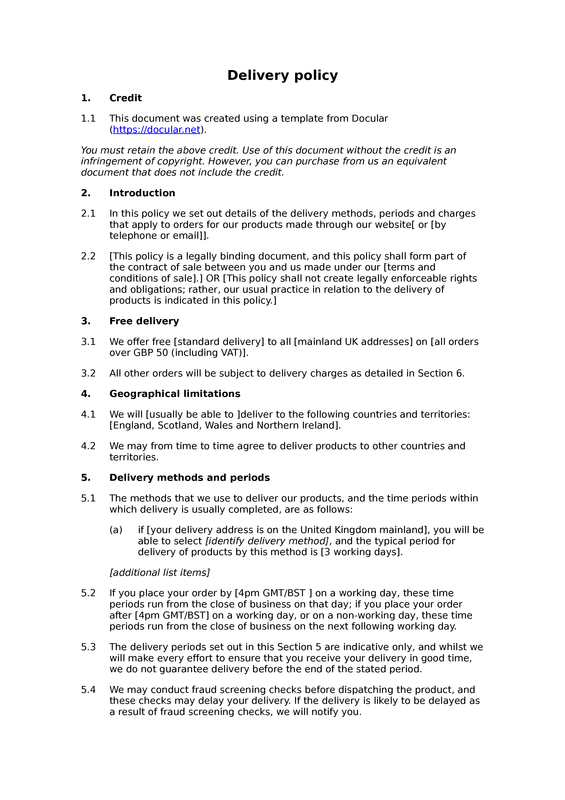 This free delivery policy has been designed for use in conjunction with our T&Cs of sale via website documents. The purpose of this document is to set out the detailed policies which a supplier of goods will follow when delivering goods that have been ordered from a website. The document covers methods of supply, times for dispatch / delivery, and so on. It may be used as a legally-binding document or more informally. The document has been written with B2C and small-scale B2B transactions in mind; it may not be suitable for large-scale B2B transactions. Introduction: delivery policy purpose; legal status of policy. Free delivery: free delivery criteria; non-free deliveries. Geographical limitations: country delivery list; ad hoc delivery to other countries. Delivery methods and periods: delivery methods and periods; commencement of delivery period; delivery periods indicative; fraud screening checks may delay delivery. 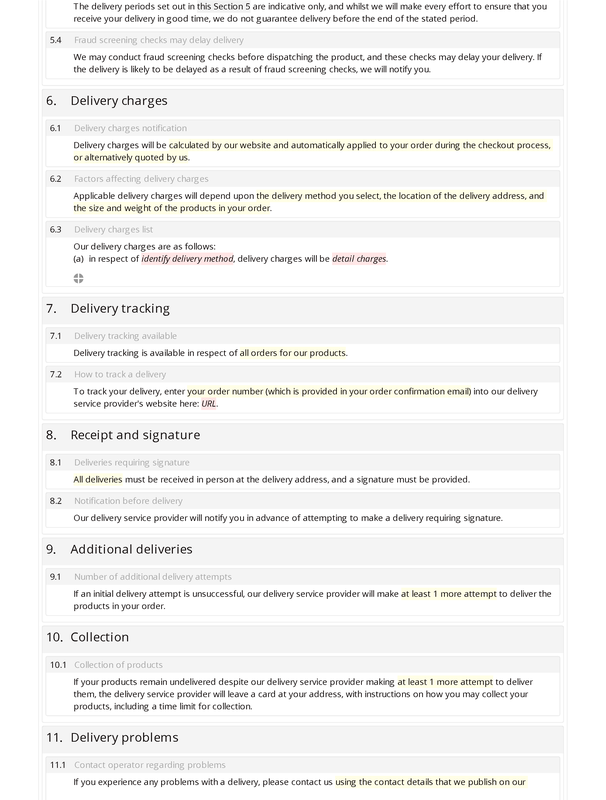 Delivery charges: delivery charges notification; factors affecting delivery charges; delivery charges list. Delivery tracking: delivery tracking available; how to track a delivery. Receipt and signature: deliveries requiring signature; notification before delivery. Additional deliveries: number of additional delivery attempts. Delivery problems: contact operator regarding problems; re-delivery charges; defining fault upon failure to deliver.